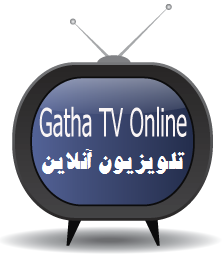 ﻿﻿﻿The Gathas; The Sublime Book of Zarathustra; New translation by Khosro Khazai, Ph.D. 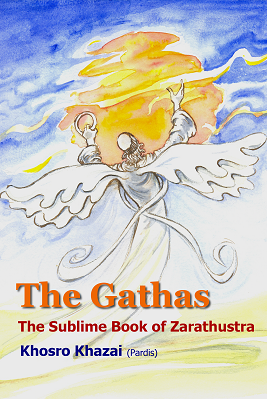 The Gathas; The Sublime Book of Zarathustra; New translation by Khosro Khazai, Ph.D.
After the huge success in Persian version (three times reprinted in five months and sold largely out of Iran, as Islamic Republic didn’t allow its entry to Iran) now its translation in English version. We are giving you, hereafter, the information on this invaluable book that took its author five years to accomplish. New Translation and research by Khosro Khazai, Ph.D is just released. This beautiful book (170 pages), with 50 pages of introduction on Zarathusrtra’s doctrine and philosophy and 120 pages of translation from the original 4000 years old Zarathustra’s language of what he said exactly, brings you to the very source of human culture in its brightest and utmost purity. 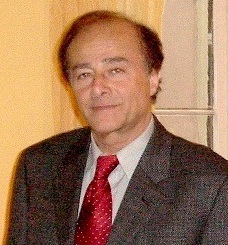 In this new version of the Gathas, Dr. Khosro Khazai (Pardis), historian of ideas, archaeologist and philologist, with his 30 years’ academic experience in the field of Zoroastrian studies presents, in a clear and fluid language, a new translation, as faithful to the original as possible, of the sublime songs of Zarathustra. Song 1 ( Hat 28 ); Zarathustra asks for happiness and power to make the Earth a happy planet. Song 2 ( Hat 29);Zarathustra is chosen to make the oppressed Earth a happy planet. Song 3 (Hat 30); Good and Evil and Freedom of Choice. Song 4 ( Hat 31); Freedom of choice. Song 5 ( Hat 32); Deceitful Teacher and False Teachings. Song 6 ( Hat 33) ; O Ahura Mazda, reveal yourself to me. Song 7 ( Hat 34) ; Where the light of Ahura Mazda shines, wisdom shall also appear. Song 8 ( Hat 43) ;Happiness is for the one who makes others happy. Song 9 (Hat 44) ;Respond to my questions and tell me why and how. Song 10 (Hat45);; The two ways of thinking and living. Song 11 (Hat 46) ;,Discouragement, perseverance and victory. Song 12 ( Hat 47),Ahura Mazda, the power that creates and progress. Song 13 ( Hat 48) ;The best refuge is an Earth that Serenity rules over it. Song 14 (Hat 49); ; Resistance against oppressive rulers. Song 15 (Hat 50) ;With thought provoking Gathas, I praise You O Mazda. Song 16 ( Hat 51) ; Those who are united in Good Thought, Word and Deed. Song 17 ( Hat 53) ; Consult your wisdom, then choose. What does this ancient symbol mean ?